The black lining on the emblem symbolises the balance between revolutionary zeal and its opposing forces to avoid one-sidedness and discordance. It represents the harmony of the oppositesmr. Pawan Kalyan is a phenomenon in the social and political sphere. It takes time to understand this but for any keen observer it becomes very clear with a bit of thought that he is a leader with a social-political reform in his mind. A phenomenon is a fact or an occurrence that is recognizable easily as it is very visible and present all the time. It is inescapably obvious. Mr. Kalyan has been a public personality through his films for nearly two decades now. During this time, his persona has taken shape and changed from being not only a film star but a socially conscious individual who spurs people to act for good. His followers run into several lakhs, which is a known fact. However, unlike many personalities, he has managed to keep his following on the social path and did not let the volatility of public life disturb his equilibrium. There is a consistency in his public life which is attaining superb recognition from one and all. This consistency is about sticking to values, convictions and beliefs. By being dedicated to a set of values, his visible self is as close to his real self. This is what makes him what he is today in the minds of people. His keen political awareness and his dedication to serve society are well known. His political entry with the launch of Jana Sena is clearly not to become one more political party with an intention to garner positions but to give voice to the people’s frustration. Jana Sena is the voice he is creating to help the frustration of the people be heard. His dedication is to society which he serves through this action in the realm of politics. Mr. Kalyan wants to connect the state of our society with the state of our politics. He wants to help establish the vital link between society and politics. He has already been highly successful in creating in the minds of people that strong character and clean conduct in public is of great importance. Now he is taking a great new leap to ring in a new dimension to the political landscape. And that newness is that politics, in Mr. Kalyan’s own words, “is not to be seen in isolation from society. Society generally detests politicians and with good reason, but they are people who are coming from amidst us and one must not shirk the responsibility that everyone of us have in creating the right political leaders and environment”. 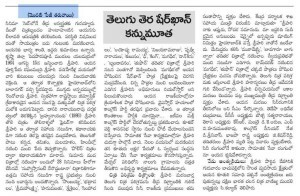 Mr. Kalyan’s announcement of Jana Sena comes at a time when the Andhra Pradesh state politics is deeply divided and when the frustrations of public have reached an all time high. Mr. Kalyan has his sights set on a socio-political change that we need rather than just a new group of people governing us. A deep change needs to be undertaken, in his view, to rid us of the problems that come from politicking. This change takes time and consistent effort. Such efforts cannot be taken up by being away from the political field. His launching of Jana Sena is bound to inspire confidence and faith in society and will bring more and more people to serve society. His voice has garnered respect among people because of his public conduct. He is today a socio-political phenomenon, which influences young minds and fills the rest with an anticipation of something useful his leadership would do. He himself however downplays it by saying that he is preparing himself and Jana Sena for a longer innings than just flash about before the elections. His vision is set far ahead of the present and he wants to shape his party and followers to bring lasting results in society, and thereby bringing positive results in politics. He has prepared himself for nearly 20 years to be where he is. His story is that of a dedicated effort to come into the socio-political sphere with a message that is profound and true. His focus being the long term effects he and Jana Sena are going to have on the society, one can expect that there will be gradual work painstakingly taken up to educate, empower and establish a new political force. 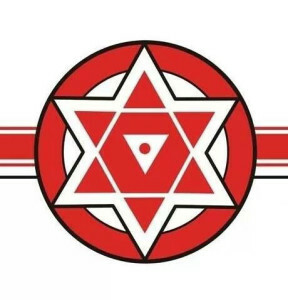 As Mr. Kalyan launches his political organisation and party, Jana Sena, there is great excitement and also expectation from him about how he will establish this party. Whilst his views will be clear to all in the launch itself, his pursuit of service to society will be more and more visible in the actions he will take in the weeks, months and years to come. Bollywood, the movie-making machine based in Mumbai, may be the best-known Indian film industry globally, but farther south in Andhra Pradesh, there is another that churns out more films each year and has a more intensely devoted following, so much that entertainment is inextricably linked with the state’s turbulent politics. Based in Hyderabad, the Telugu-language film sector, also known as Tollywood, releases an average of 135 to 150 titles annually, at times topping over 160, more than the average of 100 to 110 coming out of mainstream Bollywood. Unlike Bollywood, whose reach is pan-India, Tollywood screenings are linguistically limited to one state, Andhra Pradesh, though a few screenings occur in Indian cities with a big Telugu population like Mumbai, Chennai or Bengaluru, as well as in American cities like New York, New Jersey and Chicago. Despite Tollywood’s prolific output and its passionate fans, the industry is facing its worst financial slump in a decade. In 2013, accumulated losses have exceeded 4 billion rupees, or $64.6 million, said Tammareddy Bharadwaj, chairman of the Andhra Pradesh Film Chambers of Commerce, the regional movie-maker’s guild. Eight out of 10 movies are a flop, he said, and the remaining barely recover their investments. Mr. Bharadwaj said Tollywood’s prospects won’t change until fundamentals change. The biggest problem in the industry is the lack of good scripts, he said. Most investment into movies goes toward paying movie stars, whose salaries have been rising steadily. As a result, producers are pushed into making compromises on all other aspects. In its 75 years of history, Tollywood has produced culture-shaping movie stars, whose manic appeal climaxed with the icon of late N.T. Rama Rao, a superstar who predominantly played mythological roles in black-and-white movies from the 1950s to 1980s. Such was his mass appeal that Mr. Rao could successfully oppose the Congress Party, led by then-Prime Minister Indira Gandhi, within nine months of founding the Telugu Desam Party in 1983 and sweep the state elections that made him the chief minister. Sunil Malhotra ReutersN.T. 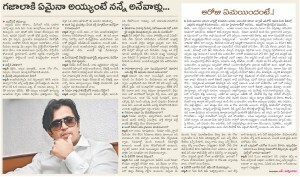 Rama Rao, a Telugu language film star and former chief minister of Andhra Pradesh. Other movie stars have followed in Mr. Rao’s footsteps by running for office in Andhra Pradesh and winning, thereby intertwining politics and Tollywood. With the rise of the Telangana separatist movement in 2009, Tollywood was thrown into turmoil as those who demanded a state for the Telangana region of Andhra Pradesh interrupted movie shootings and stopped screenings as they insisted that the top actors support their cause. Telangana supporters also picketed theaters that showed movies that featured actors strongly affiliated with any political party that was perceived as anti-Telangana. Once the creation of the new state of Telangana was announced earlier this year, residents of the Seemandhra region, who are opposed to the bifurcation of Andhra Pradesh, lobbied movie stars, demanding their support for unity. Dil Raju, a prominent film producer and distributor also known as V. Venkataramana Reddy, blamed the political upheaval for what he called “unprecedented” losses in the industry this year. The one bright spot in Tollywood this year is the star Pawan Kalyan, whose real name is Kalyan Babu Konidela. 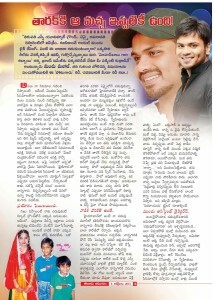 His film “Attarintiki Daredi” (Which Path Leads to My Aunt’s House? ), released in Andhra Pradesh and a few select cities elsewhere in India, broke through the 1-billion-rupee mark at the box office, an achievement previously attained only by nationally released Bollywood movies. 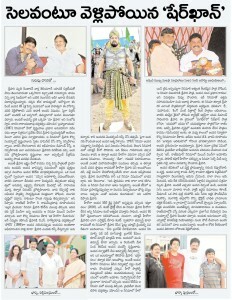 The film had a stellar run not just in Andhra Pradesh but also overseas. Ravi Shankar, chief executive of TollyView Movis, a firm in Virginia that distributes Telugu films in the United States, said “Attarintiki Daredi” drew “hysteria unmatched in decades” for a Tollywood movie among viewers in the country. He said over 100 theaters showing the movie in the United States were full for three weeks and that it was a hit in Europe and the Middle East. Tollywood will need more than Mr. Kalyan’s star power if it is to recover from a dismal 2013. But no matter how many flops Tollywood turns out, there will always be people willing to bet their money on the movies, said Mr. Raju, the producer. “We have very few producers who repeatedly make movies,” he said. “Over 75 percent of movies are produced by people who have made money in other sectors and come here attracted by glamour. They lose money and disappear. But there is always someone else who comes to try their luck in their place. Now it is confirmed. Pawan Kalyan goes international. Well, that’s not with his profession but with his third marriage. 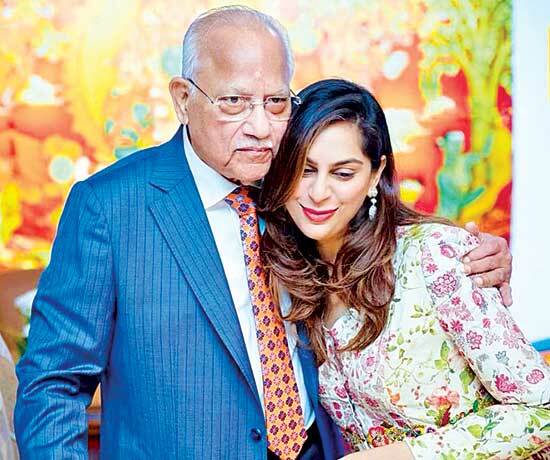 At first he married Nandini, a Telugu girl way back in later 90s and divorced her. Later he married Renu Desai, and showed his heart which is as big as nation. Now after his divorce with Renu Desai, he crossed boundaries and married model Anna Lezhneva. Thus his love is proven to be as big as globe. The news is now official as Sub Registrar of Erragadda, Basith Siddiqui confirmed it. 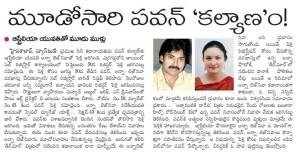 It seems that Pawan married Anna Lezhneva, on 30th of September. Both of them initially applied for marriage at registrar office, and that was agreed by the office as there was no objection from any one. Thus the marriage was on paper on Sep 30th. The marriage certificate carries the names Konidela Pawan Kalyan and Anna Lezhneva. 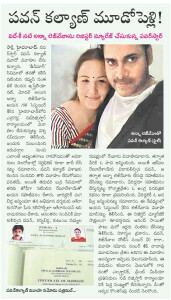 When there were gossips about Pawan Kalyan’s live in relationship with a foreign lady, there was big uproar from fans. 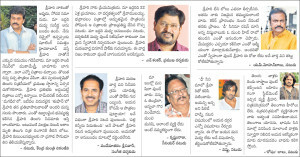 Even Pawan Kalyan didn’t condemn them. Now it is open. 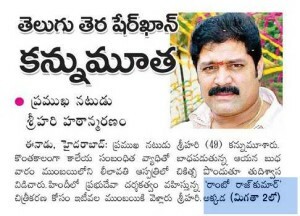 Pawan divorced two ladies till now and married the third. Pawan has two children through Renu Desai, out of which Akira was born before the marriage of Pawan and Renu. And then a girl was born to them who was named as Aadya. దేశంలో సెలబ్రిటీలు, వారి వార్తల కోసం అర్రులు సాచే మీడియా, పైకి చిరాకు పడుతూనే, ఈ తరహా అటెన్షన్‌ కోసం ఆత్రుత పడే జనాలు పెరగని కాలంలో అన్నాడు శ్రీశ్రీ ఈ మాటలు. ఇప్పుడు ఈ మాటలు అక్షర సత్యాలై కూర్చున్నాయి. తమ తమ జీవితాల్లోకి తొంగి చూడవద్దని, అనే వీలు సెలబ్రిటీలకు లేదు. ఎందుకంటే వారికి ఆ స్టాటస్‌ వచ్చింది జనాల అభిమానం కారణంగా. జనాలు అభిమానించకుంటే సెలబ్రిటీలు వుండరు. వారికి ఈ తరహా ఆదాయమూ వుండదు. కొన్ని కావాలంటే కొన్ని వదులు కోవాలని, పబ్లిక్‌ ఇమేజ్‌ కావాలనుకుంటే ప్రయివసీ కాస్త వదులుకోక తప్పదు. అయితే ఇక్కడ ఓ మధ్యే మార్గం కూడా వుంది. కాస్త జాగ్రత్తగా, వీలయినంత వివాదరహితంగా వుండడం. రజనీకాంత్‌ను మించిన సెలబ్రిటీ దక్షిణాది సినిమా రంగంలో మరెవరు వున్నారు. కానీ ఆయన ఈ స్టేటస్‌ వల్ల ఎప్పుడూ ఇబ్బంది పడిన దాఖలాలు లేవు. పైగా ఆయన హిమాలయాల పర్యటన తదితర వ్యవహారాలు బయటకు వచ్చినపుడల్లా, ఆయనపై అభిమానులకు గౌరవం రెట్టింపయ్యింది తప్ప తగ్గలేదు. సెలబ్రిటీ స్టాటస్‌ అనుభవించేవారు, తమ తమ వ్యక్తిగత జీవితాన్ని కూడా వీలయినంత ఆదర్శప్రాయంగా వుంచుకోవడం అవసరం. ఎందుకంటే సెలబ్రిటీ స్టేటస్‌ ఒకసారి వచ్చిన తరువాత నిలిచి వుండాలంటే ఇది చాలా అవసరం. ఆరడుగుల వ్యక్తిత్వం టాలీవుడ్‌లో మిగిలిన నటులకు పవన్‌ కళ్యాణ్‌కు ఓ తేడా వుంది. మిగిలిన వారిని అందరినీ నటులుగానే చూసిన అభిమానులు, జనం, పవన్‌ను ఓ వైవిధ్యమైన పర్సనాలిటీగా చూస్తూ వచ్చారు. తన సింప్లిసిటీ, వ్యక్తిత్వం వంటి వాటితో పవన్‌ కూడా ఆ స్థాయిని అలా అలా పెంచుకుంటూ వెళ్లారు. సినిమాల సంగతి ఎలా వున్నా, తన జీవనశైలి, మాట తదితర వ్యవహారాలతో ఆయన ఈ స్థాయిని సాధించారు. పవన్‌ మాట ఇస్తే శిలా శాసనమే అన్న పేరు కూడా సాధించారు. కానీ అదే సమయంలో ఒకటి రెండు మైనస్‌లు కూడా ఆయన సంపాదించుకున్నారు. ఆవేశం ఎక్కువని, ఆ ఆవేశంలోనే నిర్ణయాలు తీసుకుంటాడని అంటారు. వీలయినంత సైలెంట్‌గా వుంటారని, కానీ ఒక్కసారి వైలెంట్‌ అవుతారని గతంలో కొన్ని సంఘటనలు నిరూపించాయి కూడా. అయితే ఇప్పుడు ఈ విషయాలేవీ జనాలకు ఆసక్తి కలిగించడం లేదు. పవన్‌ రాజకీయాలు..పవన్‌ పెళ్లిళ్లు.ఇవే. ఇప్పుడు జనాలకు హాట్‌ టాపిక్‌. రాజకీయాలకు దూరం నిజానికి రాజకీయాల్లోకి వస్తానని పవన్‌ ఏనాడూ చెప్పలేదు. మెగాస్టార్‌ చిరంజీవి కోసం రాజకీయ ప్రచారం, ప్రసంగాలు చేసారు తప్ప. అదే సమయంలో సేవాసంస్థ ఏర్పాటుకు హడావుడి చేసారు కానీ అది మూలన పడిరది. తాజగా ఎన్నికలు రావడం, పవన్‌ ఇమేజ్‌ ఇటీవల ఆకాశమంత ఎత్తకు ఎదగడం వంటి విషయాలతో పవన్‌ కన్నా, ఆయనను వాడుకుని ఓట్లు చేసుకుందామనుకునే వారికి ఆసక్తి పెంచింది. ఎలాగైనా పవన్‌ను రాజకీయాల్లోకి లాగాలనే ప్రయత్నాలూ పెరిగాయి. అయితే ఇక్కడ మరో విషయం కూడా వుంది. నెటిజన్లు పెరగడం, వారిలో పవన్‌ పట్ల వున్న క్రేజ్‌ దృష్టిలో వుంచుకుని అనేక నెట్‌ మ్యాగ్‌ జైన్లు పవన్‌ వార్తల కోసం ఎదురు చూడ్డం పెరిగింది. ఏ వార్త లేకుంటే వండాల్సిన పరిస్థికి దిగినవీ వున్నాయి. దీంతో ఇలాంటి కథానాలు మరిన్ని పెరిగాయి. పవన్‌ లాంటి క్లీన్‌ ఇమేజ్‌ వున్న నటుడు పార్టీలోకి వస్తే బాగుంటుందని తెలుగుదేశం వంటి పార్టీలు కూడా ఆలోచించాయి. కానీ ఇక్కడ చాలా విషయాలు విస్మరణకు గురయ్యాయి. ముందుగా చూడాల్సింది పవన్‌ వ్యక్తిత్వం. ఆయన మితభాషి. తనకు బాగా దగ్గరకు వచ్చిన వారు, తనకు నచ్చిన వారితో తప్ప ఆయన కలిసిపోలేడు. పైగా కాస్త సిగ్గరి. ఫంక్షన్లు వగైరా వాటికి అందుకే ఆయన దూరంగా వుంటారు. వచ్చినా తన హావభావాలు వీలయినంతంగా దాచుకునేందుకు ప్రయత్నిస్తారు. పైగా ఆయన చాలా సున్నితమైన మనస్తత్వం కలిగిన మనిషి. స్పందనలు కాస్త ఎక్కువ వున్నవారు రాజకీయాలకు అస్సలు పనికిరారు. ఒంటరిగా వుండేదుకు ఎక్కువగా ప్రయత్నిస్తారు. సన్నిహితుల సమాచారం ప్రకారం పవన్‌కు ప్రపంచ పరిజ్ఞానం చాలా ఎక్కువ. పుస్తకాలు, సినిమాలు అన్నీ. సాధారంణగా పావలా విషయం దగ్గర వుంటే పది రూపాయిల ప్రచారం కోరుకునే జనాలున్న ఈ రోజుల్లో ఈ విషయాలు తెలిసేలా ఆయన ఎన్నడూ ప్రయత్నించలేదు. పైగా ఆయనను సన్నిహితంగా చూసినవారు చెప్పేదాని ప్రకారం, ఎదుటివాళ్లు ఫలానా సినిమా, ఫలానా పుస్తకం అని ప్రస్తావిస్తే తప్ప, అది తనకు తెలుసని, అందులో విషయం ఇది అని పవన్‌ తనకు తానుగా చెప్పరు, ఎదుటి వారు తనకు నచ్చిన అంశంలొకి వస్తేనే ఆయన, అందులోకి దిగుతారు తప్ప, నేరుగా కాదు. ఇక సినిమా నటులు రాజకీయాలకు ఎంచుకునే ఏజ్‌ అంటూ ఒకటి వుంది. హీరొయిన్ల సంగతి వదిలేస్తే, ఎన్టీఆర్‌, చిరంజీవి తమ నటజీవితం ఓ ఎండ్‌కు వచ్చిన తరవాతే రాజకీయాలను ఎంచుకున్నారు. ఒకసారి మొహానికి రంగేసుకోవడం మానేసిన తరువాత అది మళ్లీ అంత సులువుగా సాధ్యమయ్యేది కాదు. 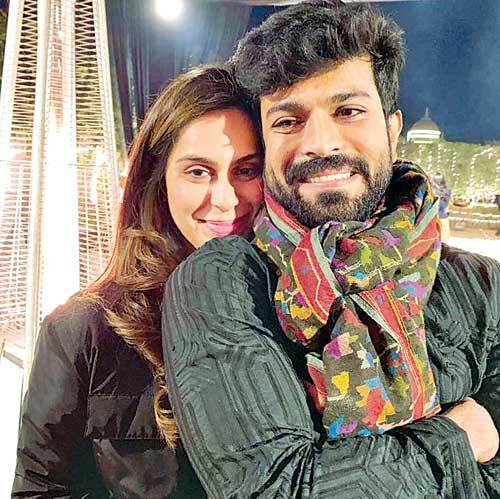 ఎన్టీఆర్‌ ప్రయత్నంచినా, అది విజయాలు తెచ్చిపెట్టలేదు. మెగాస్టార్‌కు ప్రయత్నం కూడా సాధ్యం కాలేదు. పైగా రాజకీయాలకు సినిమా రంగానికి చాలా తేడా వుంది. ఇది ఉత్తరమైతే, అది దక్షిణం. అందుకే రామానాయుడు లాంటి నిర్మాత ఈ రాజకీయాలకు ఓ దండం అని వదిలేసారు. పవన్‌ ఇమేజ్‌ దృష్ట్యా, వయసు దృష్ట్యా ఆయన ఇంకా మరి కొన్ని ఏళ్లు తెర జీవితాన్ని అనుభవించే అవకాశం వుంది. దాన్ని ఆయన అంత తేలిగ్గా ఎందుకు వదులుకుంటారు అన్నది పెద్ద ప్రశ్న. పైగా ఇక్కడ అన్నీ సాధించేసి, అంతా సంపాదించేసి, బాధ్యతలు, బాదర బందీలు లేవనుకుంటే అది వేరే సంగతి. కానీ పవన్‌ ఆర్థిక పరిస్థితి ఏమంత గొప్పగా లేదని గుసగుసలు వున్నాయి. రెండు పెళ్లిళ్లు, వాటి వల్ల వచ్చిన ఆర్థిక ఇబ్బందులు, తన కుటుంబ అనుబంధాల కారణంగా వున్న కమిట్‌ మెంట్లు పవన్‌కు వుండనే వున్నాయి. వీటన్నింటి దృష్ట్యా ఆయన కనీసం మరో రెండు మూడయినా సినిమాలు చేయాల్సి వుంది. అప్పుడు కానీ ఆయన ఆర్థిక పరిస్థితుల ఒక కొలిక్కి రావన్న వార్తలు వుండనే వున్నాయి. ఇలాంటి సమయంలో మూడో పెళ్లి వ్యవహారం బయటకు రావడంతో, ఆయన వ్యక్తి గత జీవితం ఒక పెద్ద కుదుపునకు గురయింది. మరింకే సెలబ్రిటీ అయినా వ్యవహారం ఇంకోలా వుండేది. ప్రెస్‌ మీట్‌ పెట్టి ఖండిరచడమో, అంగీకరించడమో, ఆవేశపడడమో జరిగేది. కానీ పవన్‌ నుంచి కనీస స్పందన లేదు. ఆఖరికి ఈ విషయమై కూడా రకరకాల ఊహాగానాలు ప్రారంభమయ్యాయి. పవన్‌ను దెబ్బ తీయాలనుకున్నవారు, రాజకీయాల్లోకి రాకుండా చేయాలనుకున్నావారు, ఈ విషయాన్ని లీక్‌ చేసారని వార్తలు వచ్చాయి. ఇవి నమ్మడానికి అంతగా అవకాశం తక్కువ. ఎందుకంటే ఒకసారి పవన్‌ లాంటి సెలబ్రిటీ, తన పెళ్లి ధృవీకరణకు ప్రభుత్వ కార్యాలయానికి దరఖాస్తు ఇవ్వడం అంటేనే, అది చకచకా పబ్లిక్‌ అయిపోతుందని, డిసైడ్‌ అయ్యే వుంటారు. అయినా కూడ పవన్‌ స్పందించకపోవడం విశేషం. ఇలాంటి నిబ్బరమైన వ్యక్తిత్వం చాలా అరుదుగా వుంటుంది. ఇలాంటి వారు మేథావులుగా వుండిపోతారు లేదంటే, వారి బాటలో వారు సాగిపోతారు తప్ప, జనాల్లోకి వచ్చి, వారితో మమేకమై ముందుకుసాగడం అన్నది అరుదు. కావాలంటే ఈ తరహా వ్యక్తిత్వం వున్నవారు, ఒక్క సంస్థను విజయవంతంగా నడిపించడానికి మాత్రం పనికి వస్తారు. నో డ్యామేజ్‌ ఇప్పుడు పవన్‌ వ్యక్తిత్వం మసకబారిందనో, లేదా ఇమేజ్‌ డ్యామేజ్‌ అయిందనో భావించే వారు కూడా వున్నారు. కానీ అది కూడా నిజం కాదు. ఇదంతా తాత్కాలికమే. ఎందుకంటే కాలం మారుతోంది. అనుబంధాలు మారుతున్నాయి. ఈ పెళ్లిళ్ల లెక్కను పెద్ద ఇస్యూగా తీసుకునేంత కింది స్థాయిలో జనం లేరు. ఇంతకు ముందు సినిమా సెలబ్రిటీలు ఎవరూ విడాకులు ఇవ్వలేదా..పెళ్లిళ్లు చేసుకోలేదా…ఎమ్జీఆర్‌ రాజకీయాలు,సినిమాలు అనే రెండు పట్టాలపై పయనించినపుడు ఆయనపై కూడా అనేక వార్తలు వినవచ్చేవి. కానీ జనం ఆయన్ను వాటన్నింటికీ అతీతంగా గుండెల్లో దాచుకున్నారు. గౌతమితో సహజీవనం చేస్తున్నానని బహిరంగంగా చెబితే కమల్‌ ఇమేజ్‌ ఏమన్నా డామేజ్‌ అయిందా? నాగార్జున అమల వివాహం ఏమన్నా అక్కినేని కుటుంబ ప్రతిష్టను దిగచార్చిందా? అయితే ఇక్కడ సమస్యల్లా రాజకీయాల్లోకి వస్తే మాత్రం, వ్యక్తిగత దాడులు చేయడానికి మాత్రమే ఈ ఉదంతం పనికి వస్తుంది. అంతకు మించి మరేమీ కాదు. రేపేమిటి? రేపూ పవన్‌ ఇలాగే వుంటాడు. తన పెళ్లి గురించి అతగాడేమీ వివరణ ఇచ్చే అవకాశం సమీప భవిష్యత్‌లో వుండకపోవచ్చు. రాజకీయాల్లోకి రానంత కాలం వుండదు కూడా. ఒకసారి పవన్‌ కొత్త సినిమా ప్రారంభమైందంటే, ఇక ఇదంతా పాత కథ అయిపోతుంది. దీనికి మరేదీ కారణం కాదు. పవన్‌ ఇన్నాళ్లూ పెంచుకు వచ్చిన ఇమేజ్‌ మాత్రమే. దాని ముందు ఇవన్నీ అభిమానులకు చిన్న విషయాలు. పుట్టినింట అపార సంపద.. మెట్టినింట తరగని ఐశ్వర్యం.. అయినా ఆమెది వాటి కోసం ఆలోచించే తత్వం కాదు. అప్పగించిన బాధ్యతలను నిక్కచ్చిగా నిర్వహిస్తుంది. వచ్చిన అవకాశాలను పూర్తిగా సద్వినియోగం చేసుకుంటుంది. నలుగురుకీ పనికొచ్చే విషయాలను అందరితో పంచుకుంటుంది. మనకు నచ్చని సంగతులను మనసులో నుంచి తుడిచేయాలని చెబుతుంది. మెగాస్టార్‌ చిరంజీవి కోడలిగా, మెగాపవర్‌స్టార్‌ రామ్‌చరణ్‌ ఇల్లాలిగా ఒదిగిపోతూనే.. వాణిజ్యవేత్తగా ఎదిగిపోతోంది ఉపాసన. అపోలో ఆస్పత్రిలో ప్రత్యేక బాధ్యతలు ఒకవైపు.. సామాజిక సేవ మరోవైపు.. అన్నింటినీ సమన్వయం చేస్తూ ఈతరం నారికి ప్రతినిధిగా గుర్తింపు పొందిన ఉపాసన ‘హాయ్‌’తో పంచుకున్న కబుర్లు..
* పెద్ద కుటుంబం నుంచి వచ్చారు కదా..! ఆ ప్రభావం మీపై ఎలా ఉంది? బాల్యం చెన్నైలో సాగింది. తాతయ్య (ప్రతాప్‌ సి రెడ్డి)గారి దగ్గర పెరిగాను. అమ్మమ్మ, తాతయ్యల ప్రభావం నాపై ఎక్కువ. ప్రతి రోజూ ఏదైనా మంచి పని చేయాలంటారాయన. మా ఇద్దరి తాతయ్యల విజయం వెనుక అమ్మమ్మ, నానమ్మలు ఉన్నారు. కుటుంబ విలువలు, మనుషుల మధ్య అనుబంధాలు వారి నుంచి నేర్చుకున్నా. దయ, ధైర్యం, ఇతరులను ప్రేమించే గుణం, సమస్యలను ఎదుర్కోవడం, బాధ్యతగా వ్యవహరించడం విషయాలన్నింటిలో నన్నెంతో ప్రభావితం చేశారు. ఇలాంటి అద్భుతమైన విషయాలు వారిని చూసే తెలుసుకున్నాను. * చిన్న వయసులోనే చాలా బాధ్యతలు నిర్వహిస్తున్నారు. మీ తాతగారు ఈ బాధ్యతలు అప్పగించినప్పుడు మీకేం అనిపించింది? ఆయన నాపై ఉంచిన నమ్మకానికి చాలా సంతోషపడ్డా. ఆ నమ్మకాన్ని వమ్ము చేయకూడదని భావించాను. ఈ ప్రపంచానికి నేనెక్కడ పుట్టానో అని కాకుండా.. ఏం సాధించానో చూపించాలి. ఏదైనా పెద్దగా ఆలోంచాలి. ఇతరులకు చేయగలిగిన సాయం చేయాల’ని చెబుతుంటారు తాతయ్య. ఆ దిశగా నా వంతు కర్తవ్యాన్ని నిర్వర్తిస్తున్నా. ఈ ప్రయత్నంలో మా పిన్ని సంగీత ఎంతగానో చేయూతనందిస్తున్నారు. * పెళ్లి మీ జీవితంలో ఎలాంటి మార్పు తెచ్చింది? పెళ్లి జీవితంలో అందమైన బాధ్యత. పెళ్లి.. ప్రతి రోజూ ఓ కొత్త పాఠాన్ని నేర్పుతుంది. అలాగే బాధ్యతలనూ పెంచుతుంది. ప్రేమ పెరగొచ్చు, తగ్గొచ్చు. కానీ, వివాహం సహనం నేర్పుతుంది. ఆరోగ్యం కూడా అతి పెద్ద బాధ్యత. మంచి ఆహారం, వ్యాయామం లేకపోతే ఆరోగ్యంగా ఉండలేం. అలాగే, జీవిత భాగస్వామి ప్రేమించలేకపోయినా, వారితో సర్దుబాటు లేకపోయినా.. వైవాహిక జీవితమూ సంతోషంగా ఉండదు. వీటిని సాధించినప్పుడే జీవితం సంతోషంగా, సాఫీగా సాగిపోతుంది. * ఆరోగ్యం విషయంలో మీరు చాలా పక్కాగా ఉంటారు. ఈ విషయంలో మహిళల్లోనూ అవగాహన కల్పిస్తున్నారు. చిన్నప్పటి నుంచీ ఇలా ప్రత్యేక శ్రద్ధ కనబరిచేవారా? ఒకప్పుడు నేను చాలా లావుగా ఉండేదాన్ని. కాలేజీలో నా పక్కన కూర్చోవడానికి సహ విద్యార్థులు ఆలోచించేవారు. బస్‌లో కూడా అదే అనుభవం ఎదురయ్యేది. నేను ఇద్దరు కూర్చునే స్థలాన్ని ఆక్రమిస్తానని అనుకునేవారు. చాలా ఇబ్బందిగా, కష్టంగా అనిపించేది. కాలేజీ చదువు పూర్తయిన వెంటనే ‘బీ పాజిటివ్‌ మ్యాగజైన్‌’ను ప్రారంభించా. ఇది ఆరోగ్యానికి, లైఫ్‌స్టైల్‌కు సంబంధించింది. అధిక బరువు తగ్గించుకోవడం, సంతోషంగా ఉండటం వంటి అంశాలపై ఫోకస్‌ చేసేదాన్ని. పన్నెండేళ్ల కిందటి ముచ్చట. ఇప్పుడు కూడా ఆరోగ్య సూత్రాలు పంచుకుంటున్నాను. కాలం మారింది. అందరూ సామాజిక మాధ్యమాలకు అలవాటు పడ్డారు. అందుకే నా వేదిక మార్చాను. ఆరోగ్యం, ఫిట్‌నెస్‌, ఆహార విలువలపై వీడియోలు నేనే రూపొందించి సోషల్‌ మీడియాలో రిలీజ్‌ చేస్తున్నాను. చిన్న చిన్న చిట్కాలు, పనుల ద్వారా ఆరోగ్యంగా ఎలా ఉండొచ్చో వివరిస్తున్నా. అన్ని సినిమాలూ ఇష్టమే. ఆయన సినిమాలు చూస్తూ గర్వంగా ఫీలవుతా. తెరపై తను కనిపిస్తుంటే సంతోషంగా ఉంటుంది. ఆయన్ని ఎవరైనా పొగుడుతుంటే అత్యుత్సాహానికి గురై.. కళ్లలో నీళ్లు తిరుగుతాయి. తెరపై గాయాలతో, రక్తంతో కనిపిస్తే మాత్రం భరించలేను. సినిమా అని తెలిసినా తీవ్ర ఆవేదనకు గురవుతాను. ప్రతిరోజూ ఛాలెంజ్‌లు ఎదురవుతుంటాయి. ఇతరుల నుంచి నన్ను ప్రత్యేకంగా నిలబెట్టేలా వాటిని డీల్‌ చేస్తాను. అదే నాలో ఆత్మవిశ్వాసాన్ని నింపుతుంది. ఏదైనా సాధించే శక్తినిస్తుంది. * పౌరాణిక, ఆధ్యాత్మికతకు సంబంధించిన పుస్తకాలు ఎక్కువగా చదువుతాను. * గృహిణిగా, ఉద్యోగిగా ఇంటా బయటా బాధ్యతలు నిర్వర్తిస్తున్న నేటి మహిళకు మీరిచ్చే సలహా! గృహిణి అయినా, ఉద్యోగిని అయినా అందరూ సమానంగా కష్టపడేవారే. రెండు బాధ్యతలనూ సమర్థంగా నిర్వర్తిస్తున్న మహిళలు ఎందరో. ఇంటి పనులు, పిల్లల విషయాలు, ఉద్యోగ బాధ్యతలు అన్నింటినీ చక్కగా సమన్వయం చేసుకోగలరు. భర్త చేయూతనందిస్తే మరీ మంచిది. ఇన్ని బాధ్యతల మధ్య ఆరోగ్యాన్ని నిర్లక్ష్యం చేస్తుంటారు మహిళలు. దీనిపై ఎక్కువ దృష్టి కేంద్రీకరించాలి. ఇంటిని పరిశుభ్రంగా ఉంచుకోవాలి. వృథాగా ఉండేవాటిని ఎప్పటికప్పుడు తొలగించాలి. అలాగే వృథా ఆలోచనలనూ ఎప్పటికప్పుడు తుడిచేయాలి. క్రమశిక్షణతో ప్రణాళిక మేర అడుగులు వేయాలి. మీకు మీరే ఓ లక్ష్యాన్ని నిర్దేశించుకోవాలి. అది సాధించడానికి ప్రయత్నిస్తుండాలి. దానిని నెరవేర్చిన రోజు మీకు మీరే బహుమతి ఇచ్చుకోండి. మీ విజయానికి ఈ విధానం దోహదం చేస్తుంది. ఆయన వ్యక్తిత్వం చాలా గొప్పది. దయగల మనిషి. ఇతరులను ప్రేమించే గుణం ఉంది. చరణ్‌ను పెళ్లి చేసుకోవడం నా జీవితంలో ఎంతో ఆనందకరమైన విషయం. ఆయన ఉత్సాహంగా, సంతోషంగా ఉండటమే కాదు.. నన్నూ అనుక్షణం ఆనందంగా ఉంచుతారు. నన్ను ఒక రాణిలా చూసుకుంటారు. వివాహబంధంతో ఒక్కటై ఏడేళ్లుగా కలిసి ఉంటున్నాం. చాలా విషయాలు, అభిరుచులు ఇద్దరివీ ఒకేలా ఉంటాయి. మా వైవాహిక జీవితంలో ఎదురయ్యే తీయని అనుభవాలన్నింటినీ పదిలంగా దాచుకుంటాం. నేను చరణ్‌ కలిసి మొదటిసారి వెళ్లిన ప్రాంతం గురించి చెప్పలేను. అది ఓ ఫన్నీ స్టోరీ. తెలిస్తే నా ఫ్యామిలీ షాక్‌ అవుతుంది. మామయ్య చిరంజీవి గారు చాలా ఉత్సాహంగా ఉంటారు. జీవితంలో సంతోషకరమైన సందర్భాలను బాగా ఎంజాయ్‌ చేస్తారు. చాలామంది కెరీర్‌లో విజయం సాధించడానికి స్ఫూర్తిగా నిలిచిన వ్యక్తి. అంతే కాదు, ఉద్యోగం చేసే మహిళలను ఎంతో మర్యాదగా చూస్తారు. కుటుంబం కోసం నిత్యం శ్రమించే మహిళలంటే ఆయనకు గౌరవం. అలాంటి వారిని ప్రోత్సహిస్తారు. నాకు చిన్నప్పటి నుంచీ జంతువులంటే చాలా ఇష్టం. పిల్లి పిల్లలంటే మరీ ఇష్టం. పులులు, సింహాలు, చిరుతలంటే ప్రాణం. మా ఫామ్‌లో గుర్రాలు, ఆవులు, మేకలు, గాడిదలు ఉన్నాయి. ఇవన్నీ బ్లూక్రాస్‌ రక్షించినవే. వాటిని దత్తత తీసుకొని ప్రేమగా పెంచుతున్నాను. ఈ ఫామ్‌ నాకు స్వర్గంగా కనిపిస్తుంది. ఈ జంతువులు రోజూ నాకు కొండంత సంతోషాన్నిస్తాయి. ఈ సేవా గుణం అమలానాగార్జున గారి నుంచి పొందిన స్ఫూర్తి. లండన్‌ నా సొంతూరులా అనిపిస్తుంది. అక్కడి వాతావరణం, ఆహారం, పార్క్‌లు ప్రత్యేకమైనవి. అక్కడికి వెళ్లినప్పుడు నా మనసు చాలా ఆనందంగా ఉంటుంది. ప్రొఫెషనల్‌గా శాన్‌ఫ్రాన్‌సిస్కో ఇష్టం. అక్కడికి వెళ్లిన ప్రతిసారీ నాకో కొత్త ప్రపంచంలా కనిపిస్తుంది. అది నాలో కొత్త శక్తిని నింపుతుంది. మా అమ్మ నాకు స్ఫూర్తి. మా పిన్ని, అత్త, అమ్మమ్మ, నానమ్మ, సునీతా కృష్ణన్‌.. వీరంతా నాకు స్ఫూర్తిప్రదాతలే. సొంతకాళ్లపై నిలబడి… సమాజ సేవ చేసే ప్రతి మహిళా నాకు ఆదర్శమే. ఒవెన్‌ చికెన్‌. అది మా అమ్మమ్మ వండే చికెన్‌ లా ఉంటుంది. ఫ్యాషన్‌గా ఉండటం సౌకర్యంగా భావిస్తా. ప్రత్యేక సందర్భాల్లో మెరిసే దుస్తులు ధరిస్తా. అలాగే నేను వెళ్లే ప్రాంతం, వాతావరణం, సందర్భాన్ని బట్టి ఎంపిక చేసుకోవడం అలవాటు. ఇదే మన వ్యక్తిత్వాన్ని ప్రతిబింబిస్తుంది. దివ్యాంగ చిన్నారులకు సేవలందించే అదృష్టం సాచి, సాహి సంస్థల ద్వారా దక్కింది. ఆరోగ్యకరమైన జీవన విధానాన్ని ఈ సేవ నేర్పుతోంది. చిన్నారులకు ఆరోగ్యం చక్కబడినప్పుడు కలిగే భావోద్వేగాన్ని మాటల్లో చెప్పలేను. మహిళంటే గౌరవానికి ప్రతీక. ఇతరుల జాలిని ఆశించదు, అలాగే తనపై తాను జాలిపడేటంత బలహీనురాలు కాదు. ఎటువంటి ప్రశంసల కోసం ఎదురుచూడకుండా ఒకేసారి చాలా పనులను, బాధ్యతలను చేపట్టగలిగే ధైర్యశాలి. తనకెదురైన ఆటంకాలను తొలగించుకోవడమే కాదు, అవసరమైతే వాటిని తన మనుగడలో వినియోగించగలిగే సామర్థ్యం ఆమెకుంది.